The date was August 20, 1969. The Beatles were recording what was to be their final album, Abbey Road. The date is important (and historic), although the boys probably had no idea of its significance. August 20, 1969, was the last time the four Beatles were together in the recording studio. They were recording the final over-dubs of John's song "I Want You (She's So Heavy)," a stark, raw love song written by John. The band's final session was spent working on a fervent love song to Yoko Ono. Two days later, on August 22, on the grounds of John's estate, the foursome gathered at for the last Beatles photo session—the final "official" gathering together of the Fab Four. Photos of that historic day reveal four bedraggled, weary-looking musicians. John is seen wearing a dark cowboy-like hat, sporting a bushy, thick beard. He looks pencil-thin, probably the result of his recent heroin use (among other drugs). George and Ringo are bearded, too. George especially looks as if he'd rather be anywhere else. As usual, Paul puts up the best social face, clean shaven, upbeat, and in some shots he's smiling. He even brought his pet sheepdog, Martha, to this last photo session. Yoko was there, stuck at John's side, and the session included several shots of her clinging to her almost unrecognizable husband. George's wife, Patti, may have realized the significance of the moment; she went around with a hand-held camera, filming snippets of the event for posterity. In the middle of September, the four Beatles gathered together for a business meeting at Apple Studios. It happened sometime between September 15 and 19, 1969—this was the final time all four Beatles were together in the same room. John and George spent much of the meeting bickering over George's contributions to future Beatles albums. George was fed up with taking a back seat to the all-powerful Lennon-McCartney team.The band's "one-for-all" spirit that had always held them together had evaporated. They were coming apart at the seams. On September 20th, the end officially came. John, Paul, and Ringo (George had left town to visit his sick mother) along with Yoko and various associates, aides and managers gathered in the meeting room. Paul started discussing possible plans for the Beatles future. He suggested the band go back and play small clubs under a pseudonym. Perhaps they'd use a name like "Ricky and the Red Streaks." But John exploded. "I want a divorce. Like the one i got from Cynthia" [his first wife]. According to Paul, everyone went pale. After a few heated words, John and Yoko walked out. John, Yoko, and their manager Allen Klein drove off to eat at a local restaurant called The Pepper Mill. Yoko was to remember John's words to her in the car: "it's just you and me now." Yoko, in a revealing interview, later remembered thinking to herself: "My god, those three have entertained him for the last ten years. Now it's just me!" John Lennon was never to return to The Beatles. Finally, on January 3, 1970, Paul, George and Ringo got together for one last recording session at the Abbey Road Studio Two. They were working on George's song "I Me Mine." John was in Denmark with Yoko at the time. George laconically announced, "You will have heard that Dave Dee is no longer with us, but Micky and Tich and I would just like to carry on the good work that's always been done in Number Two." (Dave Dee, Beaky, Micky and Tich were a popular singing group at the time). And so it was—the final "Beatles" recording session at Abbey Road studios was conducted without John, who had started the group, and whose original "Quarrymen" were the genesis of The Beatles. 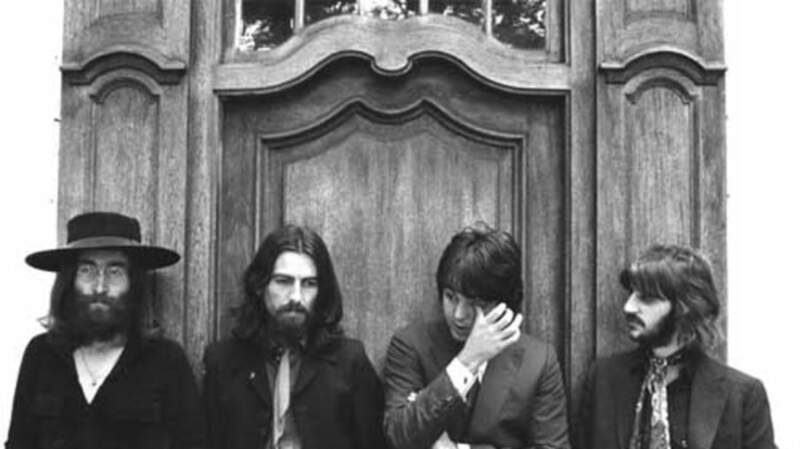 George's Lennon-less "I, Me, Mine" was included on The Beatles Let It Be album. Paul, George and Ringo reunited 24 years later to record "Free as a Bird" for the much-anticipated Beatles Anthology. Of course, after his tragic death in 1980, John was missing again. Eddie Deezen has appeared in over 30 motion pictures, including Grease, WarGames, 1941, and The Polar Express. He's also been featured in several TV shows, including Magnum PI, The Facts of Life, and The Gong Show. And he's done thousands of voice-overs for radio and cartoons, such as Dexter's Laboratory and Family Guy. Eddie is a self-confessed Beatles nut and has read over 600 books on The Fab Four. He'll be contributing a handful of Beatles stories to mentalfloss.com. Make him feel welcome!